While many CEOs and CFOs theoretically understand that a solid marketing team can directly impact your company’s bottom line, 73% of executives don’t believe that marketers are focused enough on results to truly drive incremental customer demand. When it comes to marketing metrics that matter to your execs, expect to report on data that deals with the total cost of marketing, salaries, overhead, revenue, and customer acquisitions. 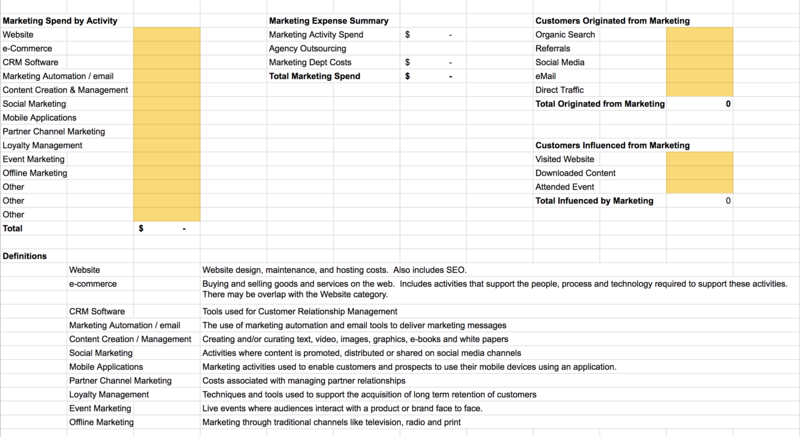 This guide is designed to make your job easier by helping you calculate and report on the critical marketing metrics your boss actually wants to know. Download your free Marketing Metrics Calculator to determine the numbers that matter for your company! It is universally understood that you have to spend money to make money. One of the challenges is to know how much money you should be spending on Marketing. This metric shows your marketing spend / budget as a percentage of the total revenue and can be used for comparison purposes. In today's highly competitive world, marketing is taking on an increasing role in driving a company's revenue numbers. According to the 2016-2017 Garnter CMO Survey, 12% of the company's total revenue was allocated to its total marketing expense budget. Measure your budget against benchmarks to make sure that you are not underfunding or overfunding your marketing operation. The Customer Attrition Rate is represents the customer "churn" in your company. This is a little bit of a tricky metric because it shows not just how many new customers sales and marketing are bringing in, but it is also a measurement of customer satisfaction, i.e. how long do customers stay with your company. Acquiring a new customer is 4-5 times more expensive then customer retention. In today's world of online reviews and social sharing, having a positive customer experience is a powerful digital currency. Marketers can use this metric when having conversations with the production or customer facing departments of your company. If there is a lot of churn due to bad customer experience, it will be more difficult to get positive social reviews and you will be spending more time defending and answering negative customer reviews. The Customer Acquisition Cost (CAC) is used to measure the total average cost that your company spends to acquire a new customer. The CAC illustrates how much your company is spending per new customer acquired. There is no comparative metric, but use yours as a baseline and then continue to monitor and measure. The Lifetime Value of Client (LTV) is the return you get from a customer over the course of their relationship with your company. There are many ways to calculate LTV (and some of them are quite complex), but at the most basic level, LTV is simply Average Order Value x Number of Repeat Sales x Average Retention Time. Think of the LTV metric as "Revenue"
A higher LTV : CAC ratio means you have a higher ROI on Sales and Marketing. The general metric to shoot for is 3.0. If your ratio is 1, then you lose money the more you sell. If the ratio is 4 or higher, you have a great business model, but in a competitive market, you might be under-investing in Sales and Marketing, which could lead to slower growth. The Time to Payback CAC shows you the number of months it takes for your company to recover the money you spend to acquire a new customer. In industries where customers pay one time upfront, this metric is less relevant, because the upfront payment should be higher than your CAC. In industries where your customers pay a monthly or annual fee, you normally want your Payback time to be between 9-18 months. Under six months may indicate that you are under-investing in Sales and Marketing, while over 18 months is a problem. Remember: The less time it takes to payback your AC, the sooner you can start making money off your new customers. This metric shows how your marketing teams performance and spending impact the overall Customer Acquisition Costs. You are in an investment phase. A company that has somewhat humanless sales might be between 70-95%. This helps management understand the impact that marketing has on generating new leads, nurturing existing ones and helping sales close the deal. Executives often wonder that impact that marketing has on the sales process. Highly effective marketing teams influence over 70% of deals. After you have gained a thorough understanding of what each metric means, you are ready to calculate the metrics that matter. Each department (Accounting, Sales, and Marketing) will need to provide information needed to calculate the metrics you will present to executives. By calculating these metrics that matter, you are presenting to your boss and executives the numbers they need to see to understand the impact of your marketing efforts. Using exact figures based on real data will not only prove the effectiveness of your department, but also allow you to possibly increase your budget for more projects and goals. 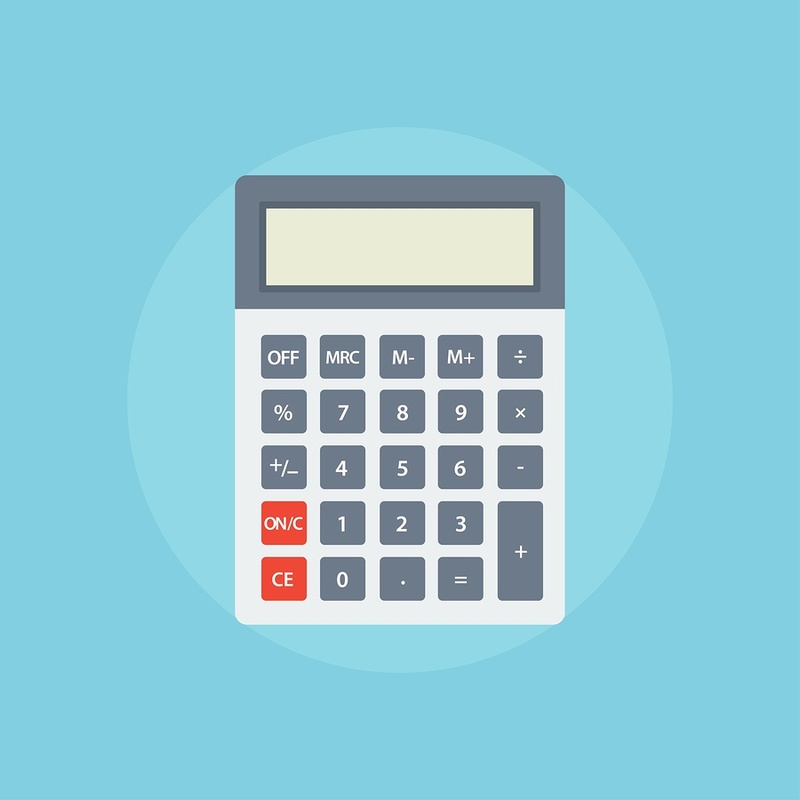 Download your free Marketing Metrics Calculator to calculate the worth of your marketing efforts!